Tube - nearest stations are London Euston and Kings Cross St Pancras. Overground - London St Pancras International, Kings Cross and Euston provide National Rail and Eurostar connections. Bus - Euston Station and Euston Road are served by bus multiple bus routes across London. 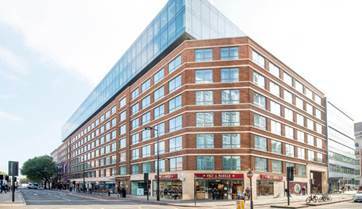 Car - local carparks include Melton Street and Judd Street carparks, which are within a 10 minute walk of Euston Road. 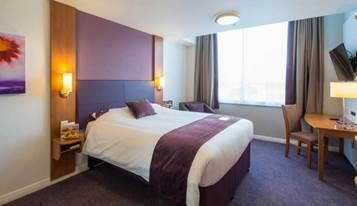 Full Premier Inn Breakfast From bacon, sausages and eggs cooked your way, to hash browns, beans and black pudding, we’ve got pl enty of freshly-cooked food for your morning. You can help yourself to our continental selection, too. Continental Breakfast Take your pick from our tasty continental selection. Whether you fancy fruit, cereal, or freshly-baked pastries, you’ll find plenty to fill up your plate with. Free Wi-Fi throughout your stay. We’re happy to offer free unlimited Wi-Fi*. It means you can browse the web for as long as you like, anywhere in the hotel. Air conditioned rooms*** Keep your cool with adjustable room temperature settings.